SANDRA J. FRANKLIN, ESQ. | Sentinel Law Group, P.C. Home / SANDRA J. FRANKLIN, ESQ. Ms. Franklin has a broad business background and focuses her law practice in assisting companies of all sizes with technology development, intellectual property protection, and resolving disputes. Ms. Franklin has particularly enjoyed helping companies of all sizes commercialize new ideas, serving such clients as the Michigan Economic Development Corporation and various technology incubators, including the Michigan Biotech Institute. As General Counsel for the commercialization arm of the Michigan Biotech Institute, Grand River Technologies, Ms. Franklin served as intellectual property counsel and business advisor to 13 separate biotech spin-off companies. She has also represented several spin-off companies from University research projects. These companies employed various forms of joint development and licensing between themselves and foreign corporations, local Universities, local and national laboratories, defense and other federal agencies, manufacturing companies, and distribution agents. Ms. Franklin served as Counsel to General Dynamics Land Systems, an armored vehicle manufacturer, and KMS Fusion, a research and development company working on ruggedized computers for military applications, and cold fusion, among other projects. She was also General Counsel to Wise Solutions, a company offering installation software globally. Her defense contracting experience began as a Captain in the U.S. Army Judge Advocate General’s (JAG) Corps in the mid-80’s, where she was responsible for all of the computer procurement contracts for the Army. Ms. Franklin is a long-time participant in and supporter of Alternative Dispute Resolution and serves as a certified Arbitrator and Mediator on several panels, including the World Intellectual Property Organization, the Asian Domain Name Dispute Resolution Centre, the International Institute for Conflict Prevention and Resolution (CPR), the National Arbitration Forum, the American Arbitration Association, the National Center for Dispute Settlement, the Financial Industry Regulatory Agency, and the Copyright Arbitration Royalty Panel for the Library of Congress. Ms. Franklin frequently conducts Case Evaluations for local state and federal courts and is a member of various Michigan Court-certified Mediator lists. 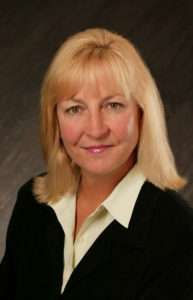 Ms. Franklin is the President and Founder of TechnologyADR.com, specializing in ADR cases involving technology, including patents, copyrights, trademarks, trade secrets, licensing, infringement, employee disputes, government contracts, IT, biotechnology and joint development disputes. Ms. Franklin recently served as the sole Panelist hearing a multi-million dollar Arbitration involving medical equipment licensing. Ms. Franklin also served on a Panel hearing a complex pharmaceutical patent infringement Arbitration with billion-dollar market implications. She has served as an Arbitrator in hundreds of disputes involving patent infringement, technology development, software development, publishing, biotechnology, trademarks, defense contracting, , and a host of general commercial cases. She has decided more than 1200 ICANN domain name disputes. Her Mediation experience ranges from neighborhood disputes to complex international patent disputes, including a dispute between Japanese and American joint venture partners over multi-million dollar corn-based products.